Kalman Warhaft, director of Melbourne Institute of Dance. Photo by Jason Lam. Kalman Warhaft has had an illustrious career as a dancer. He has performed with The Australian Ballet, Sydney Dance Company, Mod Dance Company, Opera Australia, Opera Queensland and Victorian Opera. 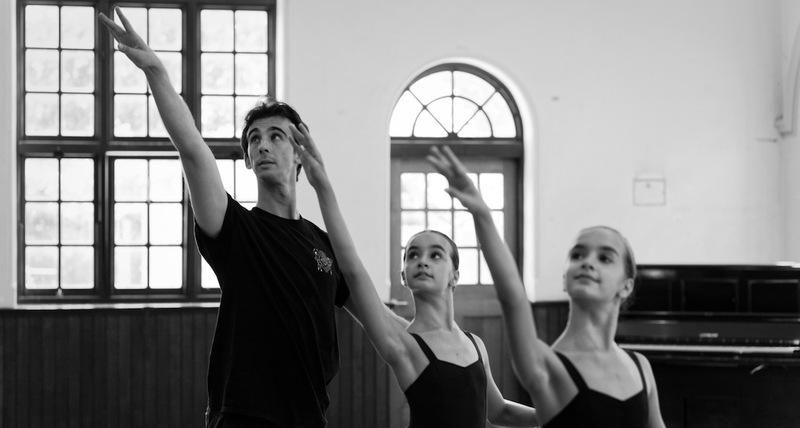 But his latest venture is directing the new Melbourne Institute of Dance, a school dedicated to teaching classical ballet and contemporary dance to students of all ages – from young children to adults. Melbourne Institute of Dance kicked off its Adults Programme on 2 January, and enrolment is currently open for students of all levels and ages, as well as the school’s Coaching Programme. Dance Informa recently caught up with Warhaft to hear all about what he has in store for the new Melbourne Institute of Dance. Congratulations on launching Melbourne Institute of Dance! Tell us a little bit about yourself and your dance background? Kalman Warhaft. Photo by Georges Antoni. “I started dancing at Camberwell District Ballet when I was five years old. A close family friend owned a dance school, and I’d go to their house where they often had ballet videos playing in the background. I’d always watch them, and one day I thought to myself, ‘I have to dance’. Soon after, I went to lessons and just loved it! Since then, I continued to dance and haven’t looked back. During the course of my training, I had the privilege of being taught by the highly acclaimed Russian teacher Madam Janina Ciunovas, one of ‘Ten 20th Century Master Teachers’ (Gretchen Ward Warren’s The Art of Teaching Ballet). Melbourne has a diverse and dynamic ‘arts and culture’ scene and has created some of Australia’s best talent – you included! How did the Institute come about? What styles are offered at Melbourne Institute of Dance? Who are the teachers, and who can take part? “We offer ballet styles based on the Russian method of training (Vaganova), adapted to best suit the needs of Australian dancers today. Contemporary dance is also offered to junior and senior children and adult students. Kalman Warhaft, director of Melbourne Institute of Dance. Photo by Stephen Agisilaou. Drawing on a wealth of experience and knowledge, Melbourne Institute of Dance has an illustrious faculty of teachers: Laura Trevor, head of the Children’s Programme, will also teach adult classes; Dr. Jason Lam, resident sports medicine doctor, will teach ballet and contemporary dance to adult students, and his Coaching Programme will assist in dancers’ recovery post-injury; and Chimene Steele-Prior, head of Contemporary Dance, will teach children and adults. We are thrilled to include an exciting range of national and international guest teachers: Reiko Hombo, Tzu–Chao Chou, Teagan Lowe and Stephen Agisilaou. Keep an eye on our website, as it will be updated as new guest teachers join the team. What do you think is attracting adult beginners? “Melbourne Institute of Dance officially opens on 2 January 2017. Located in Melbourne’s inner east – Deepdene, Camberwell and Abbotsford – we are excited to offer classes all year round, as well as holiday programmes, too. 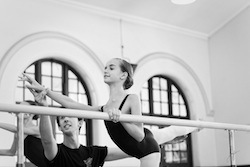 Students at Melbourne Institutue of Dance. Photo by Stephen Agisilaou. How would you describe the core purpose and focus of the Institute, and what can people expect from each class or teacher? The line-up of teachers as a collective has an amazing wealth of knowledge to offer! “It’s all about nurturing your passion, one step at a time. Whether you’re pursuing a career in dance or simply wanting to express yourself through artistic holistic movement, our dedicated team of teachers understands what it takes to maximise your potential. Having worked with so many great choreographers — Graeme Murphy AO, Janet Vernon and Rafael Bonachela, to name a few — how has this expanded your knowledge and equipped you for the ever-changing artistic landscape? Classical ballet has a long-running history and is culturally deeply ingrained. Although there are various styles and techniques, Russian methodology is one of the core attributes to your approach in ballet. Can you elaborate a little more about this, and how the Russian methodology may differ from an English or American style? “I believe the Russian method beautifully combines the romantic style of French ballet with the athletic virtuosity of Italian ballet. This combination is why most professional ballet companies (and their associated schools) throughout the world use it as their preferred method of training. Kalman Warhaft with a student. Photo by Jason Lam. The English style has been known to be more contained and very perfectly placed. Interestingly, the style we see today has been influenced by the Russian method, especially since post-World War II, as we now see more épaulement (gentle twist of the spine and shoulders) and allongé (elongation). Balanchine’s training is underpinned by Russian Methodology (Vaganova), which later evolved to be more Americanised. With the industry knowledge that you hold, how has the landscape changed from when you started out until present? “Dance and art are constantly evolving. Improvements have been made in the training programmes to ensure safe dance practice and technical prowess. Results from studies and research by major dance companies and groups (such as IADMS) are assisting dancers to achieve greater heights. When I started ballet, the number of boys participating was extremely low. Fast forward to today, and the landscape has changed dramatically, with most dance schools having numerous boys in attendance. However, I do feel that some still get lost in the sea of girls! In this changing landscape, Melbourne Institute of Dance allows boys to dance like boys in specialized boys-only classes. How do the young Australian dancers of today need to be equipped? The Melbourne Institute of Dance. Photo by Stephen Agisilaou. Through your immense experience and exposure to dance, how would you describe the benefits of dance to those interested in starting? Who most inspired you growing up, and what words of wisdom do you have to offer to young, aspiring dancers? For more information or to enroll for 2017, visit www.melbourneinstituteofdance.com, or call 0436 342 295 or email melbourneinstituteofdance@gmail.com.